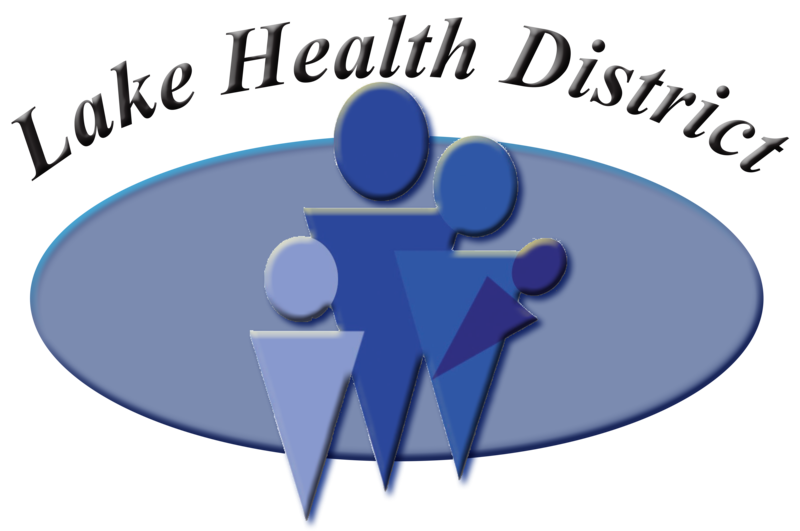 Lake Health District strives to maintain the highest possible standards of patient care. Part of our mission is to reward our dedicated full-time and part-time employees with benefits that are valued and lead to greater job satisfaction. These benefits are equal to approximately 32 percent of an employee's base salary. Employee benefits are determined under the status of employment, i.e., full-time or part-time. All employees must complete a 500 worked hour probationary period before benefits are available. Employees hired on a PRN (fill-in) or temporary basis do not qualify for benefits. For more information about Lake Health District's employee benefits, please refer to personnel policies or contact the Human Resources Department at (541) 947-2114, ext. 212 or 230. Lake Health District conducts pre-employment criminal background checks and drug testing. Lake Health District may also test employees for alcohol and drugs under the reasonable suspicion policy. This information is not intended to be a legal document. All benefits are governed by the terms of the plan documents, available in Human Resources. If an employee is subject to the terms of a collective bargaining agreement, the collective bargaining agreement will prevail for those employees covered by the agreement. Health Coverage: The current health care plan covers employees and legal dependents and includes medical, dental, vision and prescription. The total premium is currently $1161.50 with the Health District paying the majority of the premium. Teamster members pay $255.75/month and other employee participants including professionals & management pay $352.35/month. The employees' share of the premium is deducted from payroll pre-tax, lowering the actual cost. Life Insurance: Lake Health District provides a $22,000 life insurance and a $2,000 accidental death and a separate $2,000 dismemberment policy for full-time and part-time employees who have met their probationary period. These policies are in effect during the employee's employment. Short-Term Disability: After 7 days of disability, up to $300 per week (less income tax) is available for up to 26 weeks for a qualified medical disability for the employee only. Long-Term Disability Insurance: The facility carries a long-term disability plan available to those qualified employees who are unable work for 6 months or more, based on a disability. The insurance pays approximately 2/3 of monthly gross base income under a certified disability and/or physician's order and is determined by the policy language and the company providing the policy. Workers Compensation: Lake Health District provides workers' compensation insurance for employees who have claims for work-related injuries or illnesses. Paid Time Off (PTO): Paid time off for full and part-time employees combines vacation days, holidays, personal days, and four sick days into a PTO bank, allowing for flexibility in planning and using accrued paid time off. For hourly employees, PTO is granted based on the number of hours normally worked. Salaried employee's PTO is based on a 40-hour work week. Paid time off accrual begins with the 1st day worked and can be accessed upon completion of probation. For all full and part-time employees, accrual increases with length of employment. A full or part-time employee who becomes ill or requires time off to care for their ill child or family member with a serious health condition will take PTO for the first 16 (for Teamster/others) or 24 (for ONA) hours. Commencing with the 17th or 25th hour of same illness, the employee will access Long-Term Sick Bank hours. Long-Term Sick Bank (LTB): Full and part-time employees are eligible for Long-Term Sick Bank (LTB) benefits. LTB credit will begin accumulating from the employee's first day of employment; however, employees are not eligible to use LTB benefits during their probationary period. The Long-Term Sick Bank may be accessed immediately for out-of-town doctor appointments (first day only) or for surgery and hospitalizations, but not Emergency Room visits. For other short-term illnesses, PTO must be used for the first 16 (Teamsters/others) or 24 (for ONA) consecutive hours of missed scheduled work. Family Medical Leave: Family medical leave permits an employee to use up to 12 weeks of leave per year with job security. PTO/LTB usage will be required during leaves. Once the PTO/LTB has been depleted, leave will then convert to leave without pay status. Maternity Leave: Pregnancy accommodation law allows for 12 weeks of leave for one parent or split between both parents for a newborn or adopted child. Bereavement Leave: After completion of probationary period, a benefited employee is entitled to bereavement leave, with pay, for up to 5 days depending on the relationship of the deceased relative to the employee and the location of the funeral. This is specifically defined in the personnel manual and union contracts. Pension (401a): After one year of employment (full-time or part-time), 6% of the employee's base wage is paid by Lake Health District for the employee's benefit to invest in a 401a. Employees are subject to vesting and become 100% vested after 6 years of employment. Tax Sheltered Annuities (403b): Tax sheltered annuity opportunities are available to employees through payroll deduction (generally up to approximately 12% of their income, IRS regulations apply). A TSA represents an excellent way to save pre-tax wages for retirement and defer income taxes until retirement. Under IRS rules, employees may borrow up to 50% of available funds and take up to 5 years to repay, with no income tax consequences. Section 125 Plan: Full-time & part-time employees can participate in the Section 125 plan (Flexible Spending Account), which allows you to set aside pre-tax money each pay period for out-of-pocket child care costs & health (medical & prescription) expenses not covered by insurance. Employee Discount for Hospital Services: Employees may receive a 20% discount on any unpaid insurance balance for services received within Lake District Hospital. This benefit is for employees only and does not include the medical clinics. Employees may also use accrued PTO hours to pay hospital bills. Retention Bonus: When a full-time or part-time employee completes their first three (3) years of service or has completed 5 years of service, they will receive a retention bonus. The bonus rate is calculated based on the employee's FTE hours (full-time or part-time). After the 1st three years, full-time employees receive a $2000 bonus and part-time employees receive a $750 bonus; then every five (5) years from date of hire, full-time employees receive a $3000 bonus, and part-time employees receive a $1500 bonus on the first pay period following their anniversary date. Air Link Membership: After the probationary period is completed, the employee and household legal dependents qualify for air ambulance membership with Air Link. The benefit is paid completely by the facility. Educational Opportunities: Based on approval by the Board of Directors, educational funding opportunities related to the employee's job or medical education may be available. In-service education is provided by the facility to enhance employee's job performance, patient care and knowledge of their position. All in-services are pre-approved by the supervisor and administrator. Employees may be compensated with straight time for approved attendance to non-mandatory in-services. Expenses related to in-services out-of-town are reimbursed on pre-approved attendance, per policy. AFLAC: The facility allows AFLAC participation through payroll deduction. Employees voluntarily have the opportunity to purchase a variety of insurance and disability plans. Some of the premiums are recognized by IRS to be deducted pre-tax. Qualified un-reimbursed medical expenses may be reimbursed pre-tax. Information on declarations is made available each year end. Tuition Assistance: Full-time and part-time employees may apply for assistance with the cost of tuition. Based on budget and/or internal trust funds, work credit programs are available to employees who wish to take college courses related to their current profession or to a future need of the facility. External trust funds are available to the general public who meet the requirements and wish to pursue an LPN or RN degree. Holidays: Lake Health District recognizes the following holidays: New Year's Day, Memorial Day, 4th of July, Labor Day, Thanksgiving Day, and Christmas Day. In addition, the Friday after Thanksgiving Day is recognized for Teamsters/others and Christmas Eve is recognized for ONA. Full and part-time employees receive PTO accrued Holiday pay for the number of hours their shift would normally be, had they worked. Employees scheduled to work on a holiday will receive pay at time and one half. Every effort is made to rotate holidays among staff. Holidays are accrued and utilized through the PTO Bank. Jury Duty: Employees called for jury duty are compensated for the time to serve for the court system, related to interferences of their scheduled work days. Proper advance notice to the supervisor is required upon receipt of all jury duty notices. Service Awards: Awards are given annually to employees beginning after five years of service. In addition to other awards, employees with longevity, receive award bonuses every 5 years beginning at the 20 year tenure mark. Moving Assistance: There will be consideration for moving assistance, depending on necessity to fill a position. If assistance is provided, to avoid repayment, a contractual agreement requires an employee to work 36 months. Sign-On Bonus / Loan: Based on Board & Administrative approval, up to $5000 may be considered for a sign-on bonus/loan for Professional Staff, with a commitment to complete 36 months work, with no repayment. Based on agreement, payout occurs upon successful completion of probationary status. Orientation: Department-specific, as well as facility-wide, personnel orientation is provided during the first month of employment. Parking: Parking is free and located near the hospital. Employee Assistance Program: The EAP provides free (no out-of-pocket cost) services to help people privately resolve problems that may interfere with work, family, and life. Confidential services cover employees and their dependents, living at or away from home, and all household members, related or not.